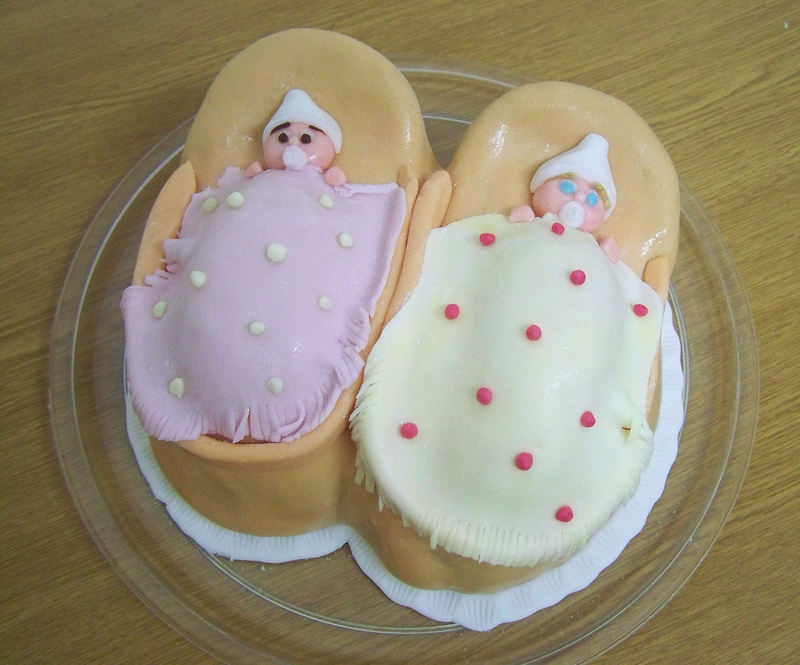 A sweet cake with two babies side by side in their carriers. Chocolate devil’s food with whipped chocolate ganache. Thank you, sure.. my pleasure!